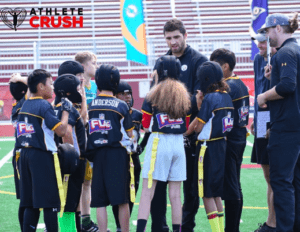 Here at Athlete CRUSH, we believe that athletes have the power to change the world. Regardless of the level of competition, there are athletes around the world who do amazing things on a daily basis. We have encountered this first hand, as we have written about countless athletes like that. But, unfortunately, these acts often go unheard, especially at the college level. Thilo Kunkel, the founder and CEO of Athlete CRUSH, works as a sport management professor and is an expert in athlete branding. Thilo has taught a number of student-athletes and seen the incredible efforts they make in the community. Despite their hard work, he felt that their efforts were not being properly appreciated and promoted. Multiple awards already exist that include a community service component (e.g., NCAA Woman of the Year; National Scholar-Athlete Awards). Existing awards place a big emphasis on student-athletes who excel on the field and in the classroom. But, we don’t feel that only star players or top students deserve to be recognized. After doing some research, we came across some impressive statistics related to community work done by student-athletes across the country. The NCAA reported that more than 80% of student-athletes volunteer at least a few hours per year. More than 60% of those athletes agree that volunteering with their team is a valuable experience (NCAA, 2014). On a more micro level, Penn State reported that during their 2015-2016 academic year, their student-athletes logged a total of 8,016 hours of community engagement (PSU, 2016). There is clearly a lot these students do to contribute to society. As a result, we created three award categories to highlight the different ways in which these student-athletes are making an impact. The award categories are Random Acts of Kindness (RAK), Catalyst, and Lead. When it comes to philanthropy and charitable acts, most people think of building schools or donating massive sums of money. However, we think that there is so much more to it. Something as small as giving away a t-shirt, carrying someone’s groceries up the stairs, or volunteering an hour or two is making someone’s day and, therefore, the world a better place. Sharing these stories, accomplishments, and positive acts is key to prompting action from others, and can inspire athletes to use their platform and their positions to do good. Additionally, we are the only organization that has a charitable component as a part of the prize. All existing awards provide winners with a trophy, but they don’t contribute to any cause or charity that the student-athletes support or are passionate about. To increase student-involvement, we are letting the winning student-athletes make a choice of which charities they’d like to have the money donated to, in their names. Athlete CRUSH is donating $531 to each winner’s selected charities. We know what you are thinking and the answer is, no, the number is not random. We want people to ask, “why 531?” The 5 represents our five CRUSH characteristics (Character, RoleModel, Unique, Skill, & Humor), representing the main attributes why fans like certain athletes. The 3 represents the three awards (Lead; Catalyst; and Random Acts of Kindness), and the 1 represents our overall goal: inspiring athletes to make the world a better place through sport. We asked student-athletes, their schools, coaches, and friends to submit stories to us. We received nominations from across the US and learned about a number of students who have displayed acts of selflessness. These stories included simple random acts of kindness, fundraising, community service, charity efforts, and more. The committee cast their votes and picked a winner for each category. The Random Act of Kindness Award went to David Long. 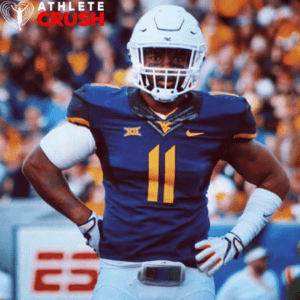 David was a linebacker for the West Virginia Mountaineers football team. He was spotted renting a bicycle from the city bike-share system in Dallas, Texas to bring food to a homeless shelter on Christmas Day. Ronald McDonald House Charities (RMHC) Morgantown was chosen by David to be the recipient of the $531 donation. The Catalyst Award was given to Josh Bringuel, a linebacker for the San Diego State Aztecs football team. 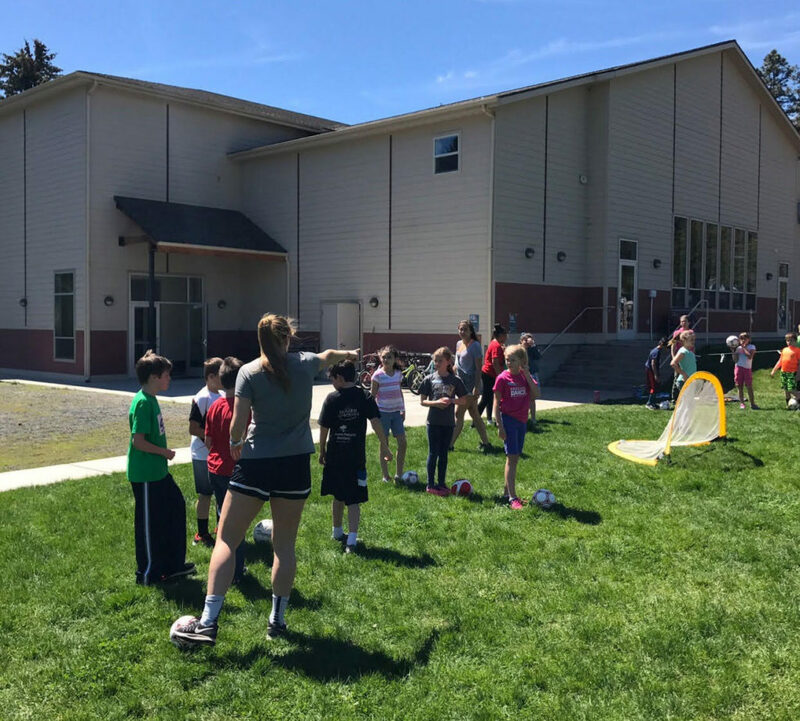 Josh has done extensive work with underprivileged children, coaching flag football, and making multiple immersion trips to build homes in Tijuana, Mexico. Josh nominated Amor Ministries as the recipient of the $531 award in his name. The Lead Award was awarded to Kelly Dopke. 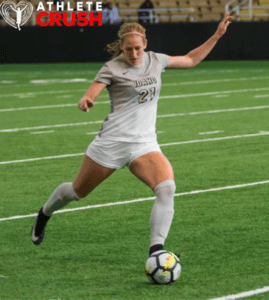 Kelly is the captain of the Idaho Vandals Women’s Soccer team, President of Student-Athlete Advisory Committee, and holds a 4.0 GPA in Medical Sciences. She’s organized several charity events and is considered an incredible leader on and off the field. Kelly nominated the National Breast Cancer Foundation, the YMCA, and the National Foundation for Teen Safe Driving to split the $531 donation in her name. These three athletes have set the bar very high for the College Impact Awards going forward. We applaud the off-field efforts of David, Josh, and Kelly, along with all the other finalists and student-athletes who were nominated. We were extremely impressed with their selfless nature and hope to see more of this going forward! When we started the awards, we knew that there was plenty charity/community work being done by student-athletes, but we never realized the impact of it. It was an incredible first year for these awards and we look forward to the next wave of awesome student-athletes for the 2nd annual Athlete CRUSH College Impact Awards! Unfortunately, there is no platform that makes highlighting charitable contributions easy. These awards are a great start, but more needs to be done. Athletes need to be constantly posting on social media to keep their fans engaged, and there is the clutter and need to compete with other accounts and content for attention. That means charity efforts posted about on Monday are forgotten by the end of the week. We hope to combat that. The efforts of these student-athletes should not be forgotten. That is one big reason for us creating the Athlete CRUSH app. Charitable efforts often get drowned out by the clutter of existing social media platforms. Also, if you are not a high-profile athlete, often you do not have a big following to share your good deeds with. 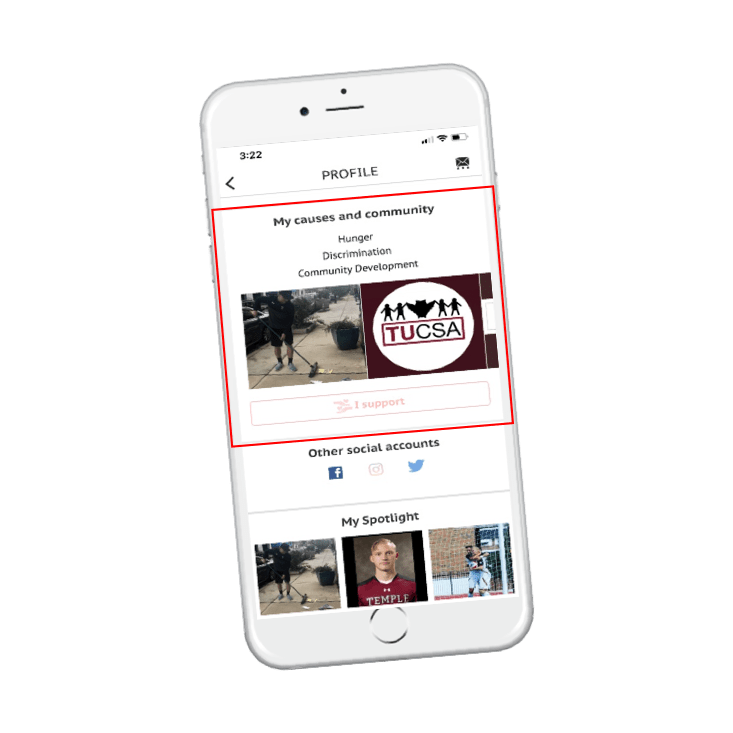 We make it easy for you to pin your charitable acts directly to your profile, meaning it doesn’t get drowned out by other content in the feed! Whenever someone goes onto your profile they can see what an amazing person you are! We want charitable acts to become more known to the world and we believe we have come up with the solution! Help us make the world a better place by sharing these students’ stories to prompt positive action from others!